The final pre season match has come and gone, and the new season has started, almost. The thing is, it doesn't really begin until Saturday, the league table is still in alphabetical order, yet we have already endured the bitter taste of defeat. Once upon a time there was only the one season curtain raiser, the Charity Shield. Back in the day this was a hotly contested and almost meaningful match, just ask Kevin Keegan, but today unfortunately it plays a poor second to the lucrative tour of either the far east or America. 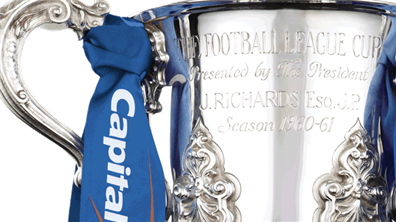 Most clubs will now have a competitive interlude between actual friendlies and league fixtures in this modern football world, with the first round of the League Cup, or COC as it's now known, due to 1, sponsorship and 2, a good name for the referee's used for the competition. After the impressive 'behind closed doors' friendly victory over Fulham at Craven Cottage last Friday, many would be forgiven for getting a little above themselves with their hopes of what will unfold over the next few weeks. What we all needed was a little reminder that this season is going to be a lot harder than anything this squad has come across before. Thank goodness Charlton delivered. A blind man wouldn't have known the Cottage was empty last week, the home end still as vocal as normal. He also wouldn't have seen Monday's announcement of the squad numbers. I hate squad numbers with the player's surnames boldly written above. It should always and forever more be 1 to 11, we know the names of our players and don't rightly care who the opposition are. When Stuart Balmer wore the number one shirt in defence we took a different view of the system and inadvertently threw an anarchic spanner in the works. Bring it back i say! There were few surprises, as is usual the unwanted and soon to depart are given the low numbers behind the up and coming youngsters. Last season Rob Elliot won the honour, this time around Paul Hayes and Leon Clarke know where, or more appropriately don't know where their future lies, wearing 39 and 40 respectively. Kevin Lisbie and David Mooney returned once more to The Valley with Leyton Orient (disguised as Millwall in their blue and white away strip) for this low key London cup tie. It's not a competition we've excelled in, even the word average would be an over statement in trying to describe our performances and our record in it, still, we're a club on the up and eager to let rip into some poor unsuspecting team. Just not right now. Chris Powell didn't field an actual second eleven but it was a side noticeably missing of the 'names'. Kermorgant, who has this pre season increased his popularity and standing at the club to quite an extent was a notable absentee whilst skipper Johnnie Jackson and top scorer Wright-Phillips were both on the bench. Those that did start can all stake a claim to a place in the normal eleven though. These are all players knocking on the door as opposed to a Charlton XI in it's true meaning. New signings Lawrie Wilson, Jordan Cook and Salim Kerkar all got a competitive debut and there was also a start for Michael Smith who, i thought, had a great pre season for us. Is it too early to say we are concentrating on the league? Chris Powell obviously wanted to win this one as his frustration, rather surprisingly, got him sent to the stands (for throwing a water bottle at the ground). It just wasn't to be our day, the East Londoners wanted this a little more and it was the O's who held the winning lottery ticket at the end. A goal apiece after ninety (and forty five) minutes, both sides had an effort cleared off the line during extra time. All to no avail, it would be a late journey home for those hardy souls in attendance. We've had great penalty memories with Sasa Ilic and co, and awful ones with Nicky Bailey, they have certainly made their mark in our history. Last night's penalty shoot out won't be remembered for long in the memories but summed up 'Charlton and the League Cup' as hopes of a cup run once again fizzled out. Johnnie Jackson is up there with Clive Mendonca in the penalty taking stakes, but even super Clive must have missed one. If the skipper misses you know it's not your night and we are just one in a large handful of Championship teams that have fallen at the first hurdle. Included in this unfortunate group are Millwall who also went out on penalties to Crawley Town. After losing to the League One new boys in West Sussex a couple of weeks ago, Crawley completed an impressive double at The New Den. Result of the round however must be Scunthorpe's win at Derby, again on penalties. After ninety minutes this was five all! How did they manage to both keep a clean sheet for the thirty minutes of extra time? Orient have been rewarded with a trip to Goodison Park to face Everton in the second round. We of course don't need that kind of fixture congestion at this early stage of the season. The real thing gets underway Saturday at Birmingham. Kermorgant had better be starting that one!